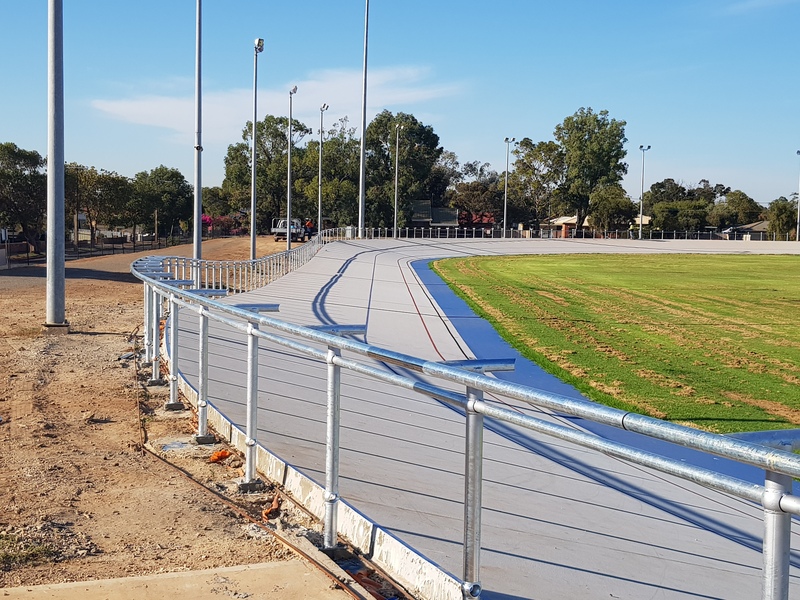 The City of Port Adelaide Enfield has provided us with a Hanson Reserve Velodrome restoration completion date of 8 April 2019, with training and racing to recommence there at ASAP. 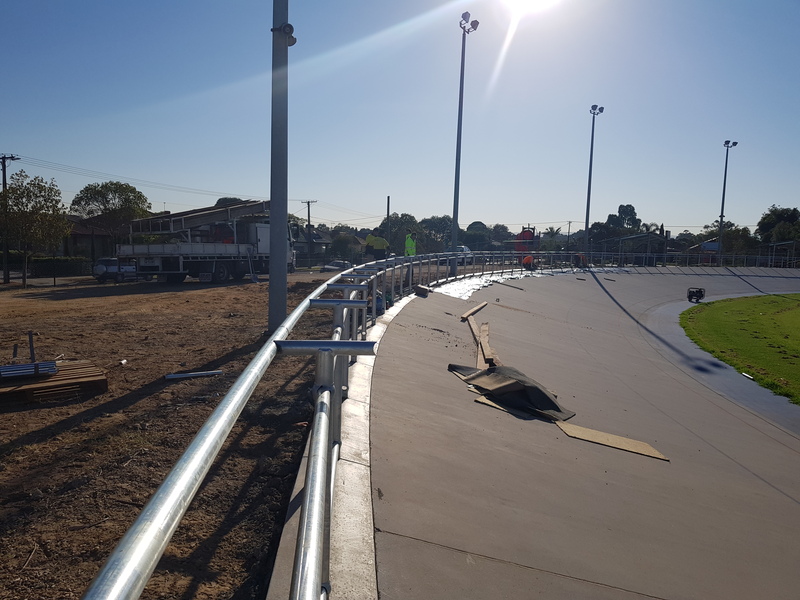 As of yesterday (Monday 18 March) the track's safety fence plinth pour had commenced and will be completed at a rate of about 40m per day. 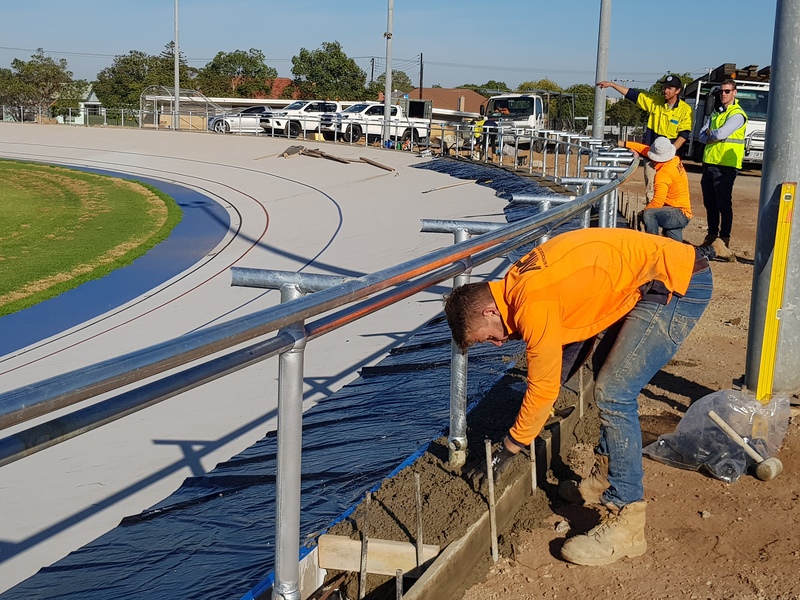 This extends the track's grade right to the barrier fence, which will be fine (25mm) chainmesh, with track-side and spectator-side safety rails similar to the SuperDrome. The track itself is complete, all fence posts are in, the top rail of the barrier fence is completed, and the spectator-side rail is about 1/3 complete. We are advised the velodrome lights were tested and operational (with one pole of 24 playing up) but note they have not yet been re-pointed towards the track. The volunteer work at the clubrooms is mostly finished,and everything is looking shmick! Assuming the velodrome's lights are adjusted, put the 9th April 2019 in your diary for the first night of track & road bike training under lights with PACC and KCC - and Thursday 11th will be the first track-bikes-only session! Track curious? We will have a way to get you on track, don't be shy! Thanks to the people who have volunteered so far to motorpace and coach sessions, a roster will be developed shortly. Want to volunteer? Email us. Again, a reminder that the site is an active construction zone with lots of hazards. Please stay completely out of the site (the closest you should get is the view from the Hanson Clubrooms - there are some odd jobs still to do there!). Photos from within the site were taken with permission from the City of PAE at a site meeting.